Our kennel Zlatna šapa is located in a fertile valley in suburbs of town Karlovac in country Croatia in Europe. We have always had animals and we take care about them with a lot of attention and love. We got in controlled dog breeding when we got our beautiful tornjak Mila, and without her this kennel wouldn't exist. We do have a yard full of dogs, but we have some dogs in co-ownership with our friends and relatives and in that way we are a high quality kennel. In our kennel, dogs have everything they need. 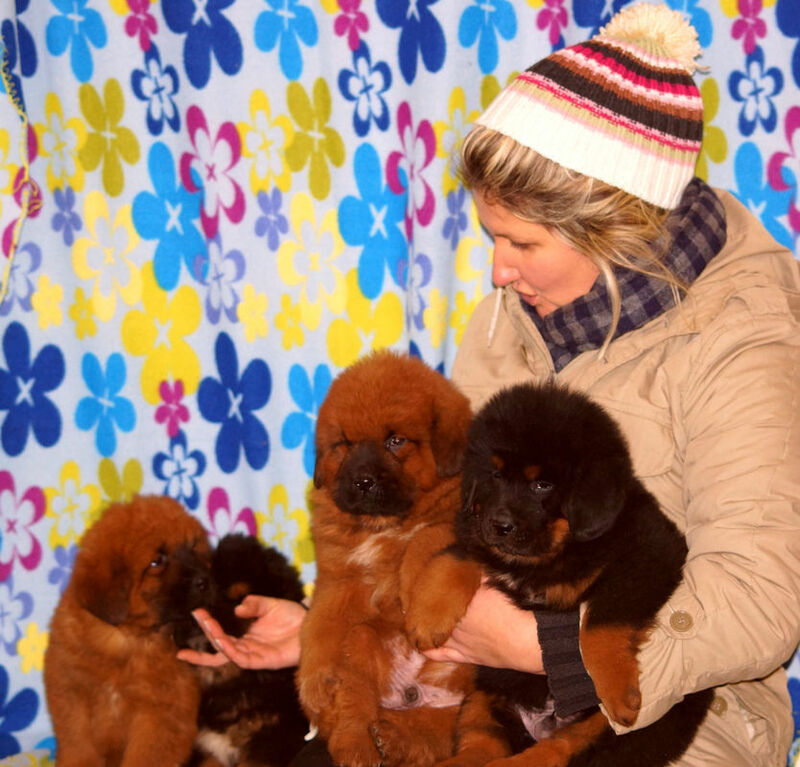 We have two beautiful breeds- tornjak and tibetan mastiff. Tibetan Mastiffs are committed to quality selective breeding with health and temperament as our primary goal, followed immediately by beauty and correct breed type. Both parents of the puppies have been undergone health checks by their veterinarian prior to breeding. They are socialized from birth and have our constant attention. Once old enough to venture outside they interact with our adult dogs and spend many happy hours playing and exploring our property. Should you decide to purchase a puppy from us, vaccination, one bag of food and general care will be included in your puppy packet. You are always welcome if you want to come and see our puppies and their parents. We are open for new visitors and we are happy that we can meet in personal new owners of our puppies. Our kennel works from 2006.